With Avengers absolutely DOMINATING the box office, we thought it’d be good to give you guys a list of Avengers stories you can get into, or get a friend into. As great as the movie was, there are plenty of great stories from the Avengers’ rich history! Greetings readers! Raph here, this time to do something we haven’t seen a while: some good ‘ol reviews! This week it’s Saga, Avengers Assemble and Batman & Robin! 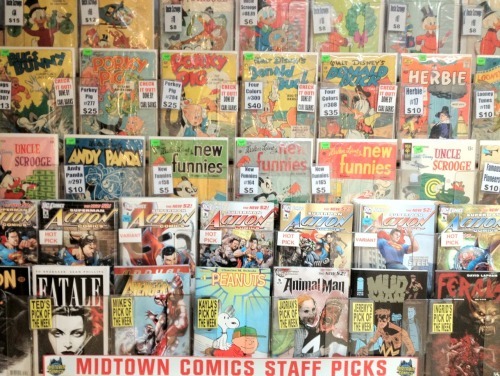 Midtown’s Marvel Guide Part 2: Out of Continuity Fun! 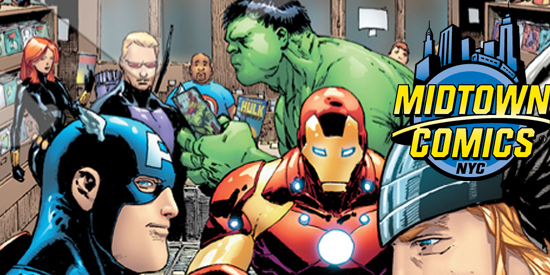 This is the second installment of the Midtown Comics Marvel Guide! If you haven’t checked out the first part, click here! These books are ones you can read and enjoy without having to read other titles, so if you don’t feel inclined to invest yourself heavily into the mainline Marvel continuity, you can still check out these fantastic reads! Midtown’s Marvel Guide Part 1: The Continuity Movers! Marvel continuity spans a lot of books, and a lot of history, and since this isn’t a wiki, we’re going to highlight some books we like a lot, and you can use as a guide to the heroes of the Marvel U!